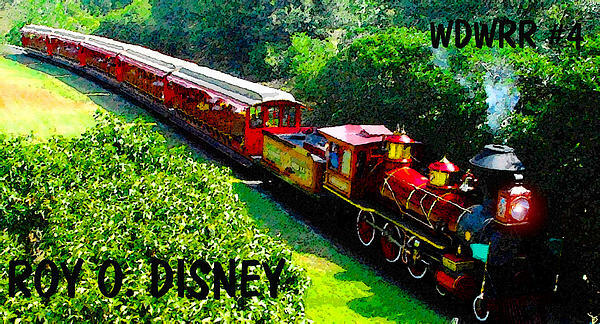 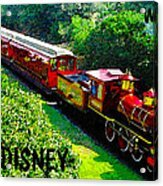 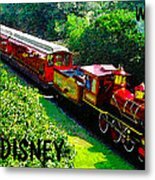 Artwork of the Roy O. Disney engine number four steam train at Walt Disney World's Magic Kingdom. The Roy O. Disney is named after Walt's brother and partner, it is invisioned here as it looked in the early 1970s shortly after Roy's death (12/1971) and the naming of this engine in his honor, signed. 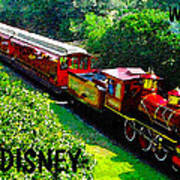 - note this work is also available without text.